Chiang Mai is a well-documented destination, but that doesn’t mean there aren’t hidden gems that aren’t well known. 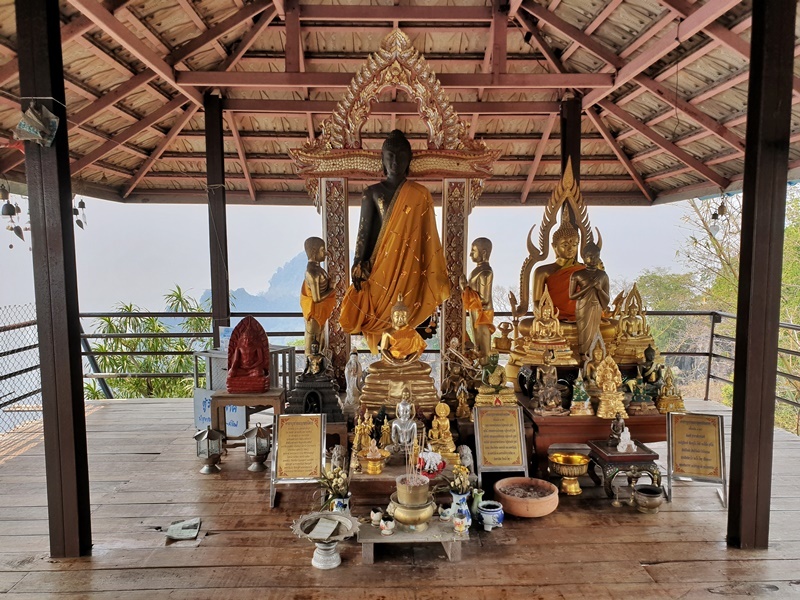 I stumbled across one of these, Wat Chaloem Phra Kiet, in early 2019 and put it straight on my to-do list for my next visit to Chiang Mai. And I ticked it off in April 2019. 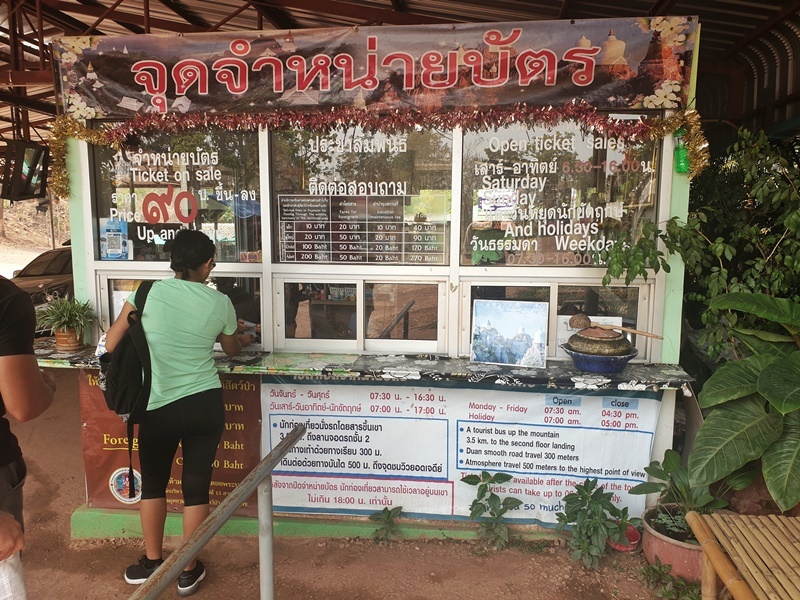 With no tours openly advertised, if you want to make a day trip to Wat Chaloem from Chiang Mai, you’ll need to organise transport yourself. So that’s what I did, bringing along six friends. 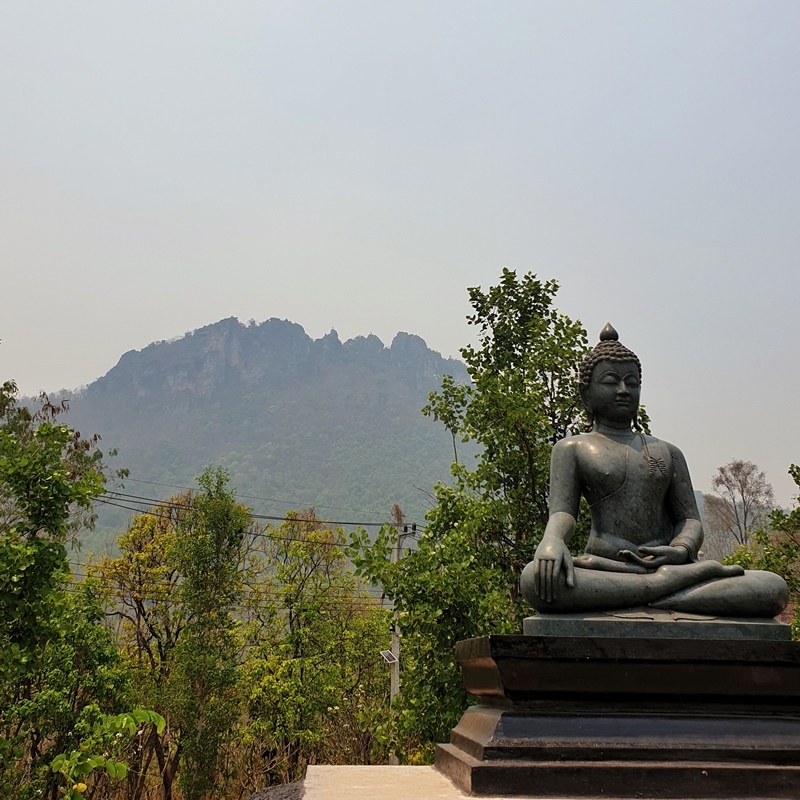 I’ll give you a trip report from Wat Chaloem, how I organised it, and the cost in the post. 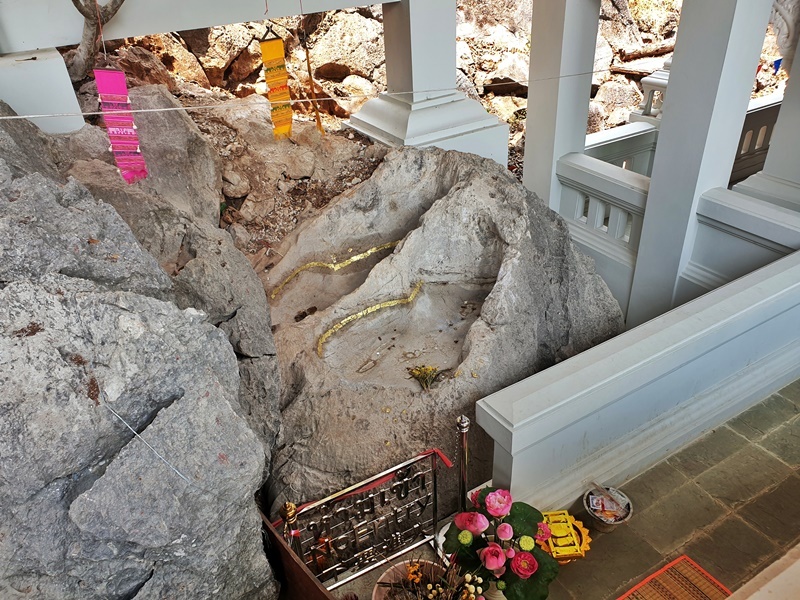 Is Wat Chaloem Worth Visiting? Arriving Wat Chaloem, there’s a large dirt carpark with lots of open space with some small restaurants that may or may not be open. If you look west from the carpark, you’ll see the floating pagodas in the distance. Looking up at them in the distance was the moment when I realised it was not the ideal time to visit (more about this below). After getting our ticket we were taken to the shuttle stop area which was a bit confusing too. After a few minutes of waiting, our group of six was directed onto one of the vehicles by the staff and we went in a convoy with other vehicles. The vehicles go up and down in convoy as there’s only one lane going up the hill, and if they intersected each other on the way up/down, things would get very interesting. And awkward. From what I gather, you aren’t allowed to walk to the floating pagodas from the carpark. It’s a bit of a trap really, but most people aren’t going to like the idea of walking 3.5km up the 300 metres of elevation anyhow. At the top, you arrive in another large carpark with a small coffee shop off to the side. 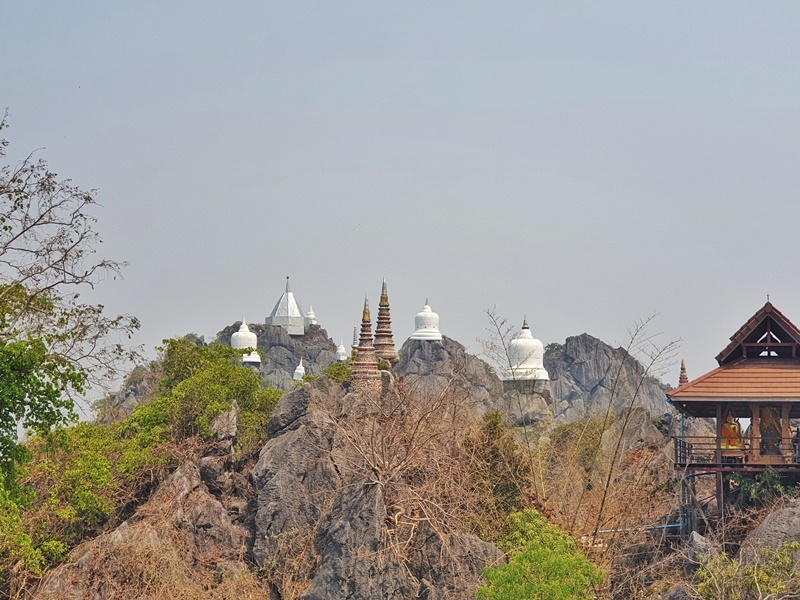 From here the floating pagodas are an 800-metre walk away. The first 400 metres follows a wide path on a gentle incline, nothing strenuous. The second 400 metres? It’s all stairs. Take it easy and you’ll make it no problem. The stairs are sturdy, but in the wet they’ll get slippery. After 10-20 minutes, you’ll arrive at the temple courtyard where you’ll see the different viewing platforms. I’d suggest starting from the right and making your way left, getting closer and closer to the floating pagodas. As we were visiting during burning season, we could barely see the fields 300 metres below us, but wow, the view on a clear day would be amazing. You’ll still get to see the floating pagodas during burning season! There are a few nice little spots to sit under shade. At the temple grounds, this is one of those spots you could be here for five minutes and see everything, or you could happily sit for hours and be content. I’d suggest you’ll spend 20-30 minutes here. There was maybe ~15 others at the complex while we were there, so we were able to take the photos we wanted right away. It’s a popular destination with domestic tourists in the weekends, but with international tourists yet to encroach on the beauty, the weekdays are relatively quiet. Once you’ve finished up, head on back down and walk along the path on the other side of the carpark to Buddhas Footprint (there are signs). 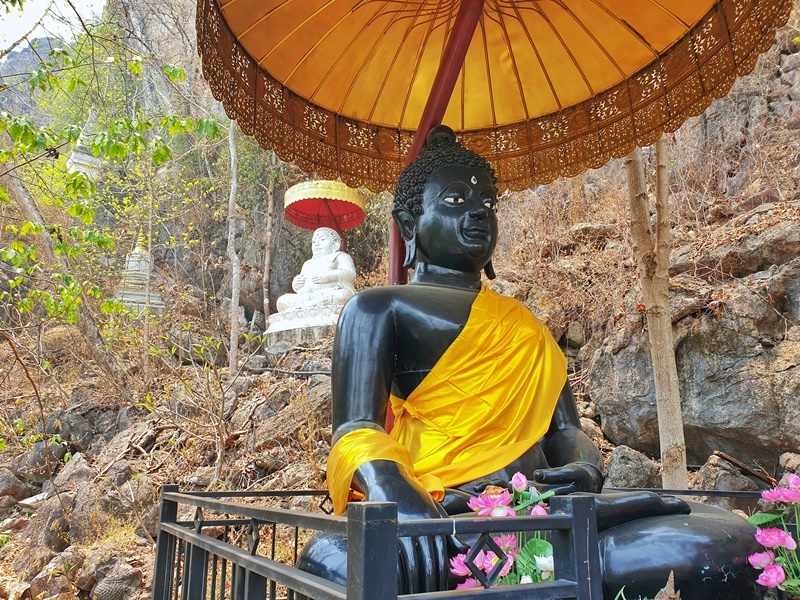 This is just a few minutes away, and while the footprints are nothing major (in my opinion), I really liked how there was both a black and white buddha, the contrast’s stood out. The staircase to the footprints was lovely too. I think how it stands out from the background makes it so awesome! Once you’ve finished up, you’ll see the drivers hanging out and they’ll get you ready to take back down the mountain. You might need to for a bit before you go down, but it won’t take long and there’s plenty of shaded areas to wait. Note: you can rent a vehicle and drive yourself, or go via scooter. Up to you. 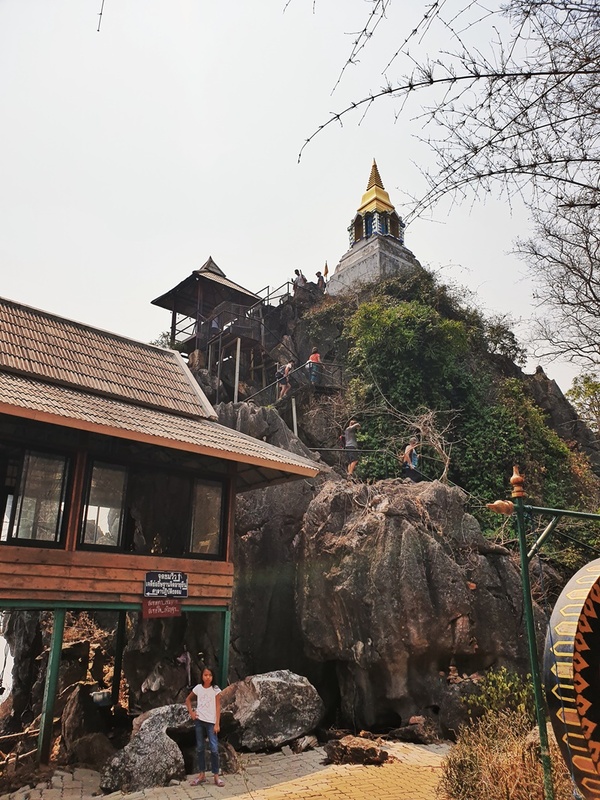 Located ~58km away from Chiang Mai as the pigeon flies, you might be hoping that you can get to Wat Chaloem in less than an hour. Unfortunately, that’s not the case with a mountain range pigeons can fly over, but you’ll need to drive around. In reality, it takes a 2-2.5 hours drive to cover the ~160km (slower if you’re on a scooter). 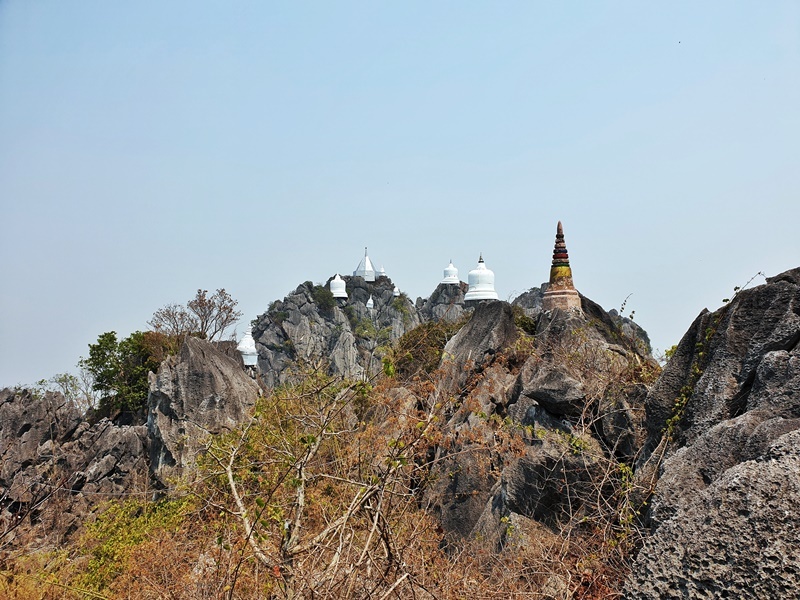 The preferred route for most is along the highway towards Lampang. The drive is fine with a couple of short windy sections, but nothing compared to the drive to Pai. Our driver stopped at a 7/11 at about halfway through the drive so we could get some snacks. When planning this trip, I looked at a few websites that offered both a private vehicle and driver and they all had more or less the same price. 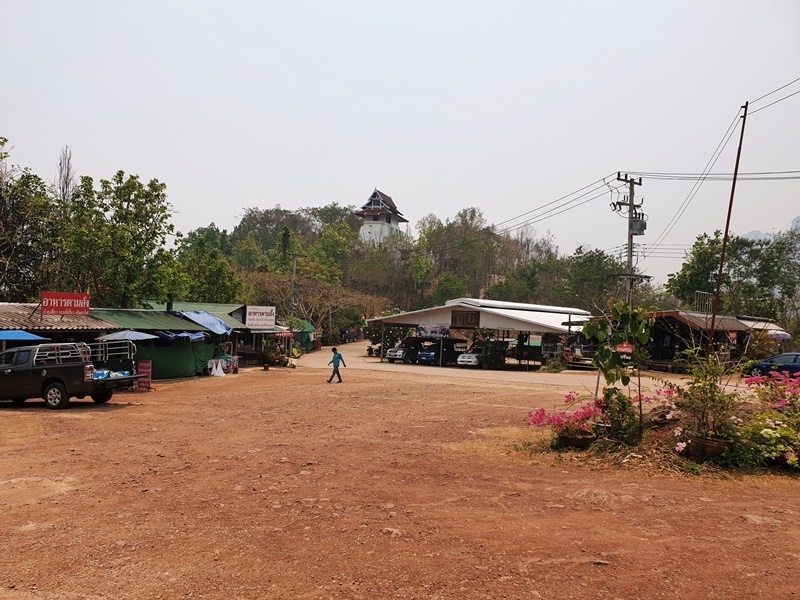 I was going to shop around a little bit, but when I rang Chiang Mai Mini Bus, the lady on the phone knew exactly where Wat Chaloem was and how long it’d take to get there etc. It made things super simple so I didn’t contact anyone else! 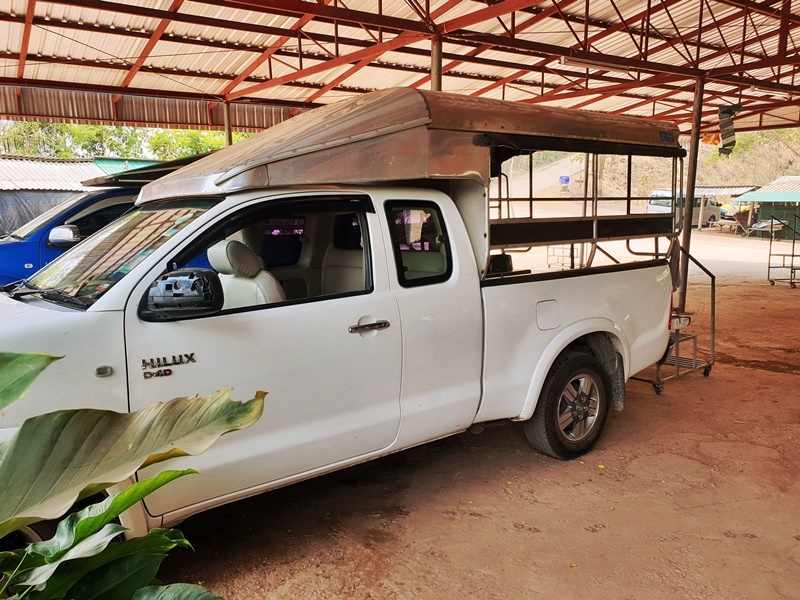 Over the phone, the lady said we could make it 3000 baht which would cover gas costs as well (2,500 baht without gas) and a total time of 9 hours we could use the van for. I’m not sure if this was a good deal or not, but it made things easier to let everyone know the costs in advance. I was ringing the day before we wanted to take the trip and fortunately they had a spare van available. She asked me to confirm via email the time for pick up and where (you can state where you want to be picked up from). We got picked up at 7.30am (went via another place to pick up two friends) and arrived back in Chiang Mai just after 3 pm. If possible, I think next time I’d like to start a bit early. You can check the latest prices for a sedan and 10-seater van here. How to contact Chiang Mai Mini Bus: You can call if you’d like on +66 89-435-4172 but an email to [email protected] does the trick too as you’ll get a response in an hour or two. Be very specific with your email. 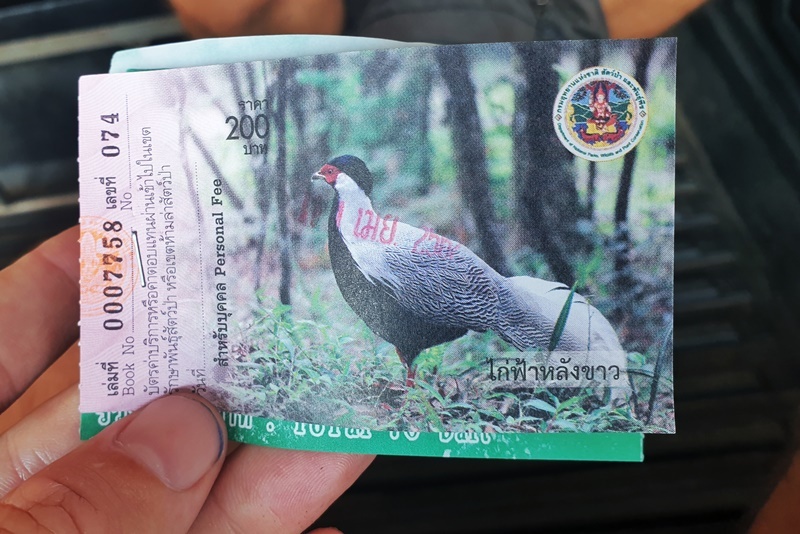 200 baht of the 270 baht (for foreign adults) is for access to the National Park. The other 70 baht is for the drive to and from the hill. Note, this was for six people. If you’re four or less, then get the sedan. Private 10-seater van + driver + gas = 3000 baht (500 baht per person). 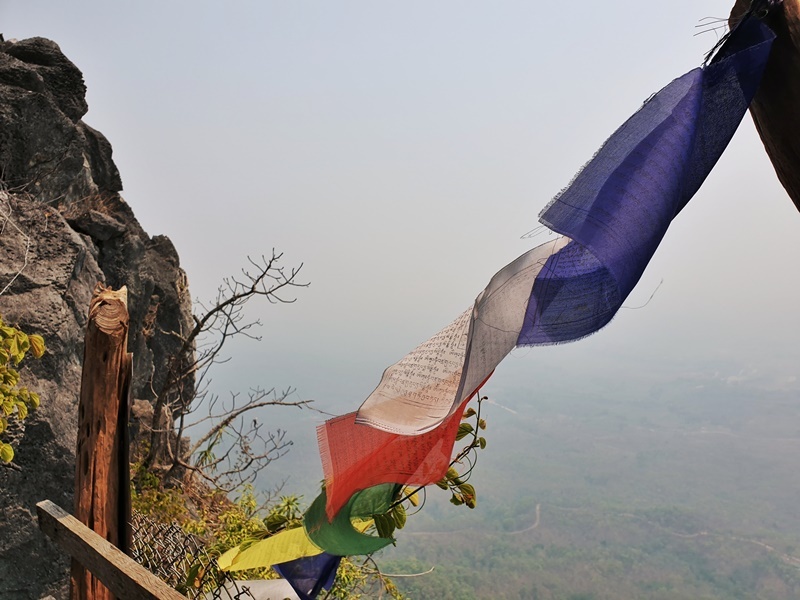 Entry fee to National Park + the Songthaew ride to the top = 270 baht. You can see the costs for all visitors in the photo above. Total cost per person for the day trip was 770 baht each. When you search the Wat Chaloem hashtag on Instagram, it looks incredibly epic. Remote and inspiring. The key to remember is, a lot of these photos/videos are being taken from a drone giving it a different POV. 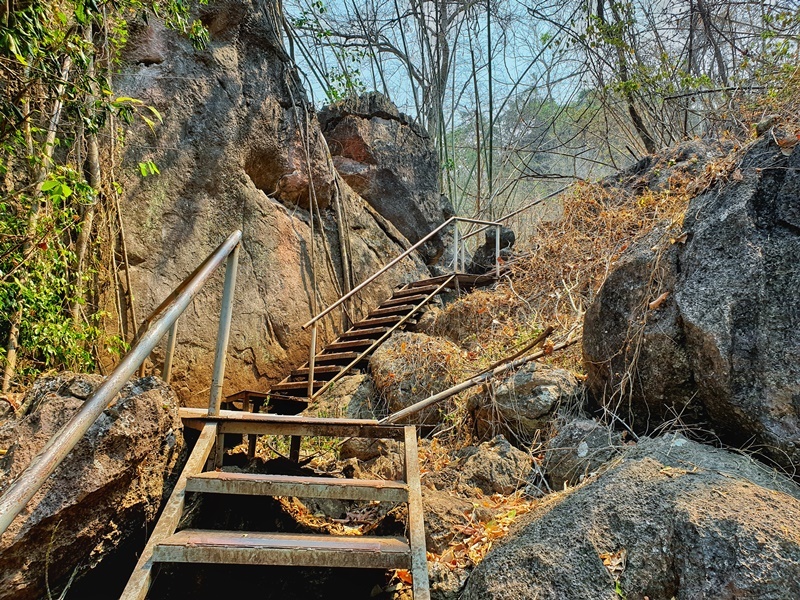 During burning season, I don’t see any point in making this day trip a priority as you’re lacking the epic views from the top which would add to the dramatics of it all. Thanks, pollution. But I’ll definitely look to go back another time when the skies are clear. 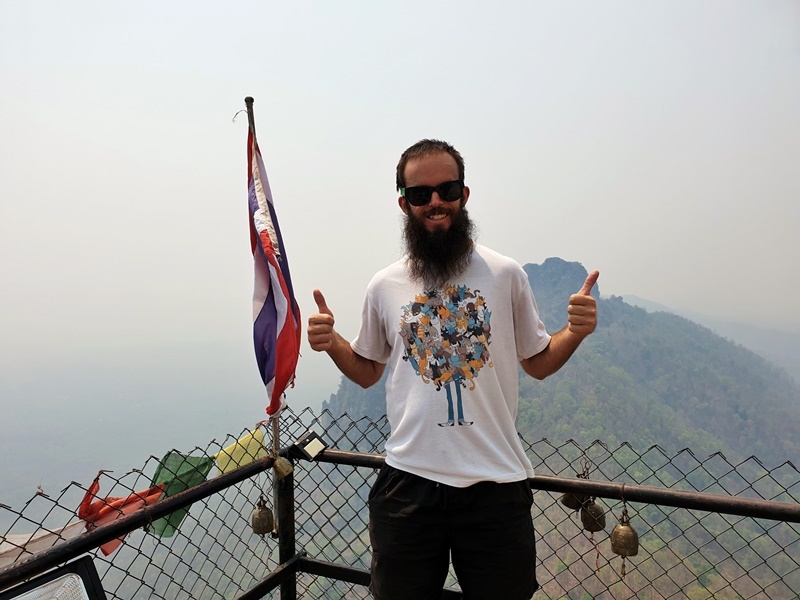 Want some alternative ideas on things to do in Chiang Mai? There are over 50 in this post.